As registered with the Australian Institute of Building (AIB), the Australian Institute of Quantity Surveyors (AIQS), the Building Commission and the Australian Tax Office (ATO), we know the science of building and know-how to give you the peace of mind for maximum deduction across all components of your property investment. 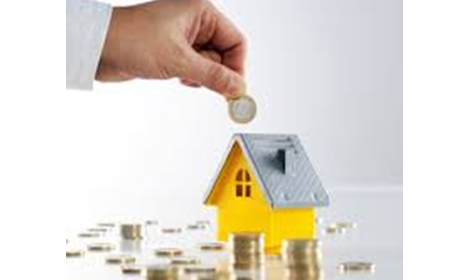 Additionally Northwind provides ongoing advice for free, insuring you are fully maximising your property investment. Our 20 page tax depreciation report is easy to follow and at least every item available for a deduction. It also gives you write-off amounts at any time for the next 40 years. It provides your accountant with options on depreciation methods so that together you have a choice to choose what is best for your circumstances. Rest assured at 201 points quality assurance system guarantees we catch every detail. Put a Northwind Quantity Surveyor on your team and protect your investments. PUT MONEY BACK INTO YOUR POCKET TODAY! Property research is performed for free to save you time. We work with you to cover all the details of unique property, from start to finish and long afterwards. Our highly qualified team has completed over 1,000’s of schedules for both domestic and commercial properties. We are fully compliant and informed of the latest ATO rullings. Northwind’s director is hands-on across all projects and is always accessible to you. Northwind prepares an independent property condition report so that you know the condition of your property. Photos, floorplans and subdivision plans are included in your report that no additional fee – plus all information is kept on a database and available to you at any time. As most buildings are under-insured, information used in preparing the tax depreciation schedule can be effectively used for the subsequent preparation of insurance replacement cost assessments. Prepare to be surprised by our low and fully deductible fee. Plus we Money Back Guarantee that if your tax deduction of the first full year is not double our fee, will completely refund your money. Order today and see how much money you can save. We’ve saved thousands of others, now it’s your turn.